The Art Department strives to provide courses that enrich the learning of all pupils, some of whom may aspire to examination success in the subject. We provide preparation and development of knowledge and understanding of the diversity of the subject and enable individuals to pursue Art in their life long learning. Art at Key Stage 3 is vibrant, expressive, analytical and fun. Practical exercises in drawing, painting, collage, sculpture and printmaking engender confidence, valuable experience and a wealth of skills. Students are encouraged to develop and grow with a passion for the subject, without fear of new exciting but complex ideas experimenting with art orientated processes. Within Key Stage 3 students engage in a thematic approach of study to equip them with the knowledge and transferable skills necessary to develop and explore their creativity, as well as enhance their technical ability. The Art Department at Key Stage 4 follows the AQA Art & Design course which cultivates experimental approaches of art making and the recording of developments in a variety of media. The course empowers students to be creative with their use of material in gathering and improving upon work and their personal ideas. The course provides students with a wide range of creative, exciting and stimulating opportunities to explore their interests in ways that are both personally relevant and developmental in nature. This is primarily achieved in ongoing sketchbooks and a presentation portfolio in which visual and written explorations and ideas are conducted with a vast use of different media. The course is exciting, stimulating and rewarding for pupils who wish to receive grounding in the disciplines and idea development skills of Fine Art. The course consists of two components that enable students to develop their ability to actively engage in the processes of Art and Design – to build creative skills through learning and doing, to develop imaginative and intuitive ways of working and develop knowledge and understanding of media, materials and technologies in historical and contemporary contexts, societies and cultures. 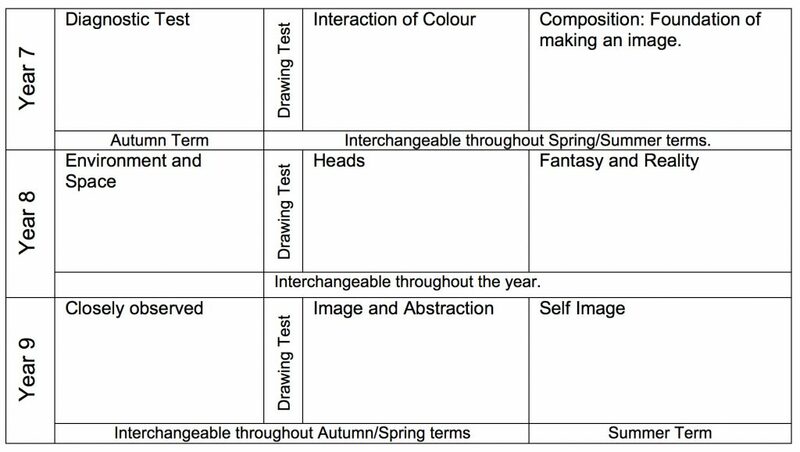 In Component 2 (externally set assignment) students respond to a starting point provided by AQA. This response provides evidence of the student’s ability to work independently within specified time constraints, realise intentions that are personal and meaningful and explicitly address the requirements of all four assessment objectives. 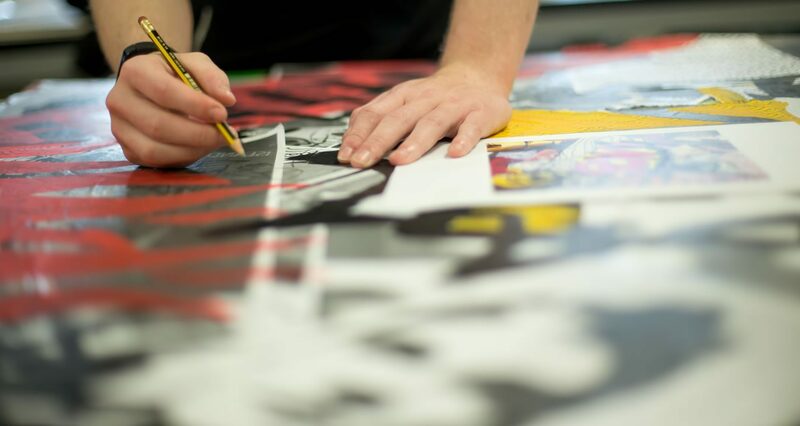 Students currently study the AQA A Level Art and Design course that enables students to study and explore a broad range of visual arts encompassing painting, sculpture, textiles and photography. Students are encouraged to develop their practical, aesthetic and conceptual skills through assignment work designed to promote original thought and confident self expression. Students are encouraged to produce practical and critical/contextual work in one or more areas, including drawing, painting, mixed media, sculpture, ceramics, installation, printmaking, moving image and photography. an understanding of issues, themes and concepts that inspire practice and a critical appreciation of both primary and secondary sources. an understanding of the properties of different media and materials, a broad range of techniques and processes.